I will forever claim to be a "PC" but it's getting harder to say, since I now go everywhere with my iPad2 in tow. As an act of defiance and an opportunity to show a bit more "gun love" I created this decal. So far it has been well received. 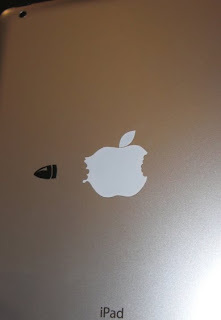 I totally love that sticker, I need one for my ipad stat!